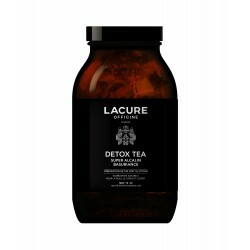 SUPER ALCALIN BASURIANCE DETOX TEA is an exceptional infusion formulated on a strong diversity of plants and a balanced composition of 30 fruits, vegetables, plants, trace elements, vitamins and minerals. 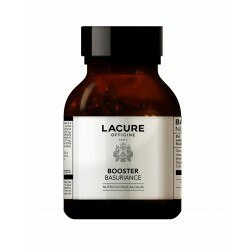 These ingredients have been carefully selected to contribute to an optimal acid-base balance (zinc), normal blood sugar levels (chromium), protect cells against oxidative stress (green tea, selenium, copper, vitamin C, vitamin B2). Their action also helps to burn fat and to drain by eliminating toxins (green tea), support energy use (green tea, copper, vitamin C, vitamin B2) and boost natural immunity (vitamin C). These precious elements go together perfectly with the subtle fragrance of green mint to delight the taste buds. 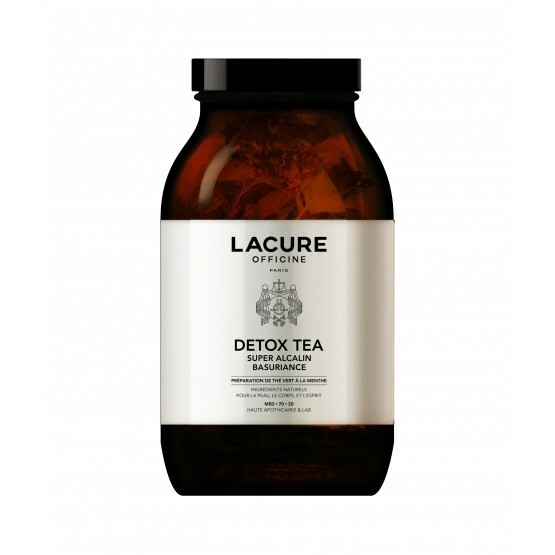 * TeaPlus expertise® for LACURE OFFICINE: innovative process of coating tea leaves or other plant media in extracts of dry plants, vitamins, minerals and other ingredients. Use 1 to 2 sachets a day according to your needs. To find all the richness of the aromas and the benefit of the active ingredients, let infuse 2 to 3 minutes in 120 ml of simmering water. Green tea 39.6%, Lemongrass 38%, Dried green tea extract 4.1%, Dried Barbados cherry extract (17% vit C) 3.6%, natural aroma of green mint 3%, Grape 2.25%, Zinc gluconate 1.7%, Selenium yeast 1.3%, Blueberry 0.8%, Carrot 0.5%, Grapefruit 0.5%, Pawpaw 0.3%, Pineapple 0.3%, Strawberry 0.3%, Apple 0.3%, Apricot 0.3%, Cherry 0.3%, Orange 0.3%, Broccoli 0.3%, Spinach 0.3%, Onion 0.3%, Garlic 0.3%, Blackcurrant 0.2%, Asparagus 0.2%, Tomato 0.2%, Olive 0.2%, Cucumber 0.2%, Copper gluconate 0.2%, Sodium alginate (coating agent) 0.10%, Vitamin B2 (Riboflavin) 0.04%, Chromium chloride 0.01%, Sodium Molybdate 0.003%.